The White Pelican, painted against an inky dark night sky, is one of the most magnificent of all John James Audubon’s works. 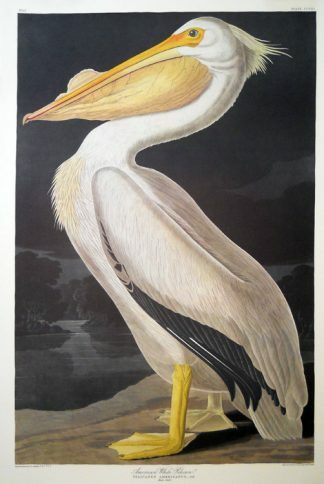 The White Pelican is one of the largest birds in North America, with an average wingspan of 9 feet across. 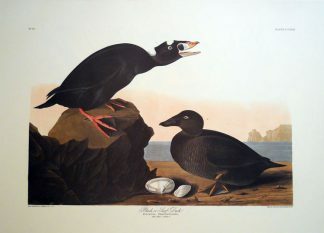 It is a year round resident on the central to southern California coast, and also on the Gulf coast of Texas. 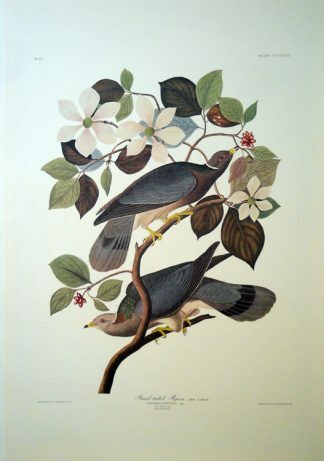 Also seen in Florida, and while on migration throughout the western half of the United States. 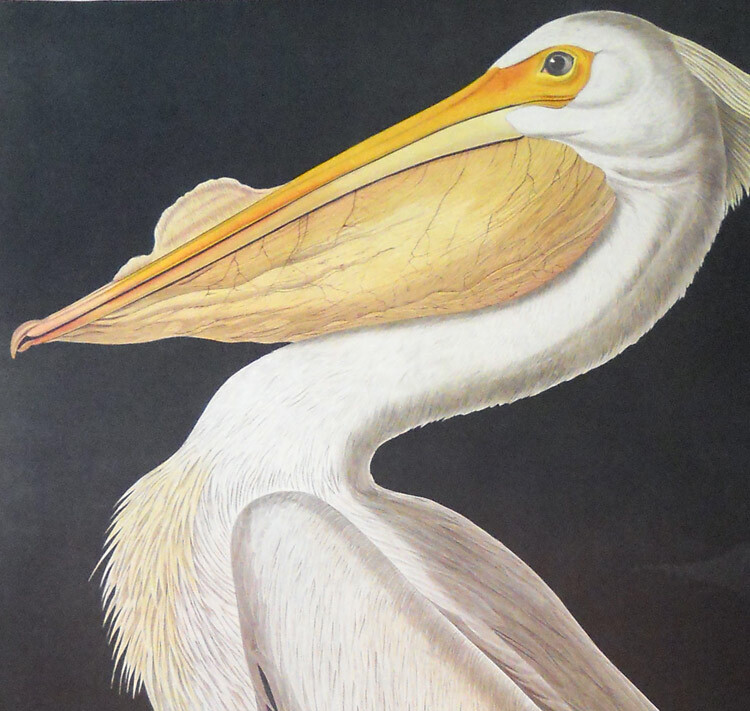 This image looks great paired with the Brown Pelican or the American Flamingo, or is fantastic displayed alone. 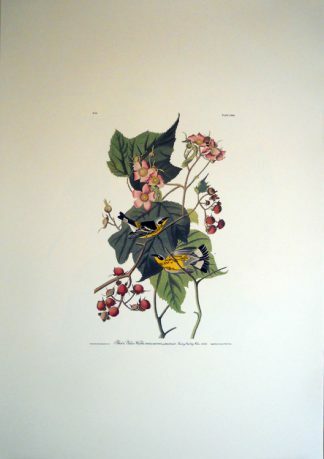 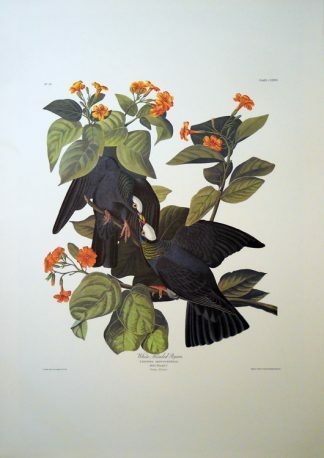 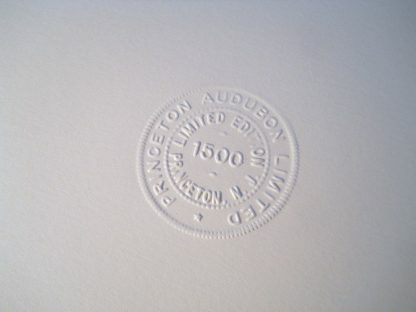 This Princeton Edition was printed on heavy, acid free, museum quality paper using specially designed archival inks. 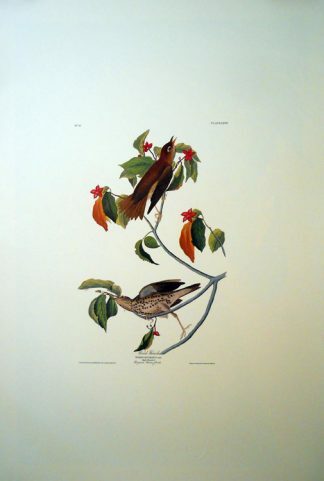 It is a fine art edition strictly limited to 500 prints. 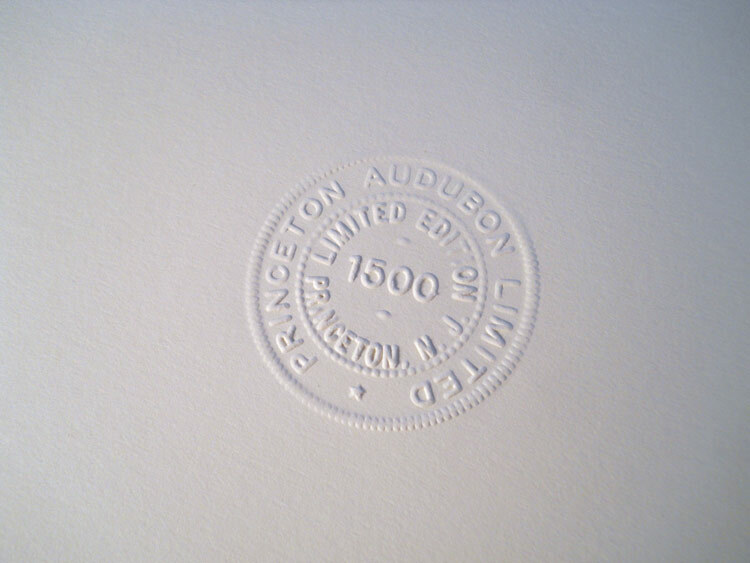 All Princetons are hand numbered and bear an embossed seal in the lower margin of the print.